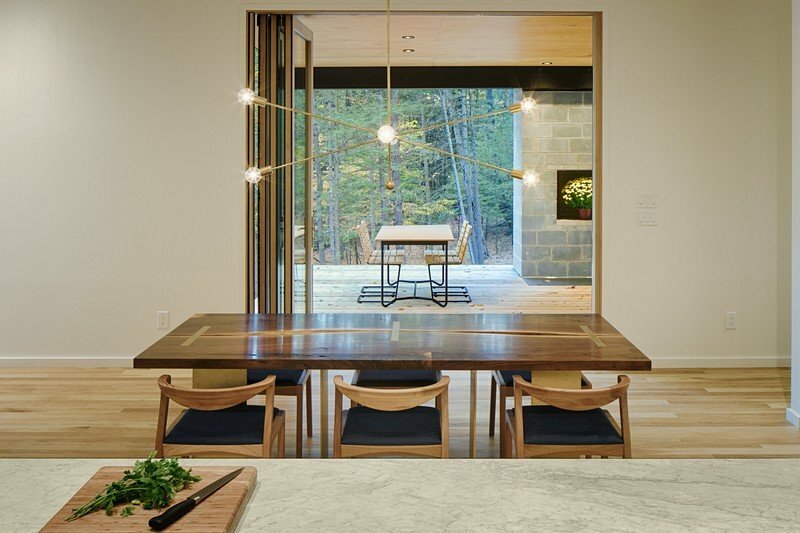 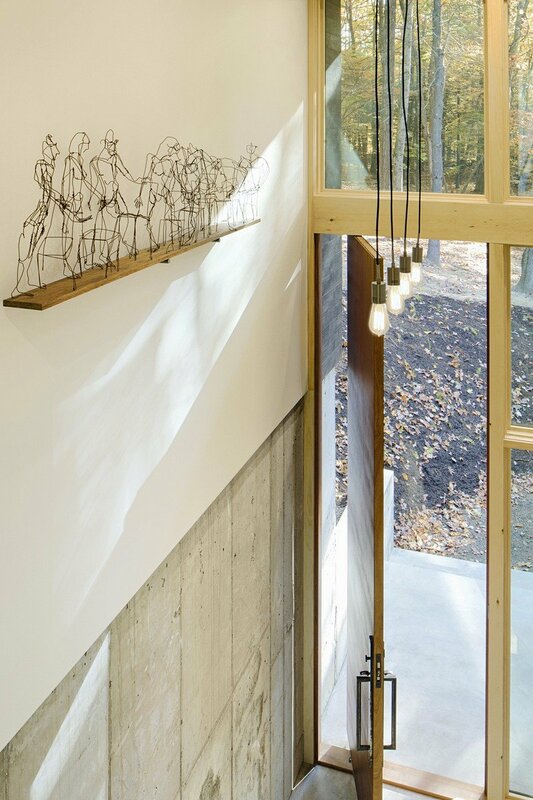 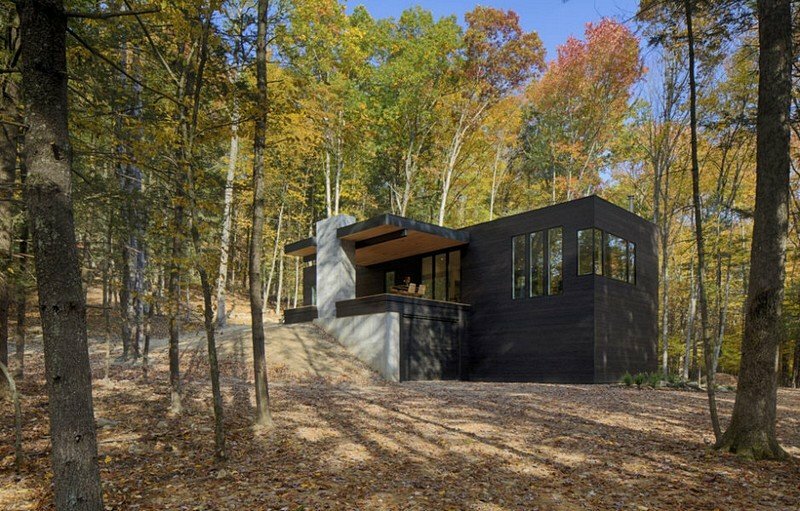 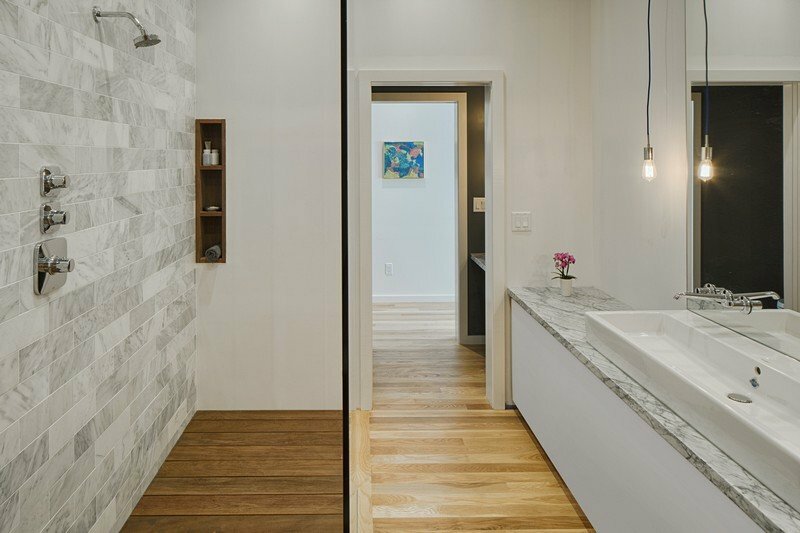 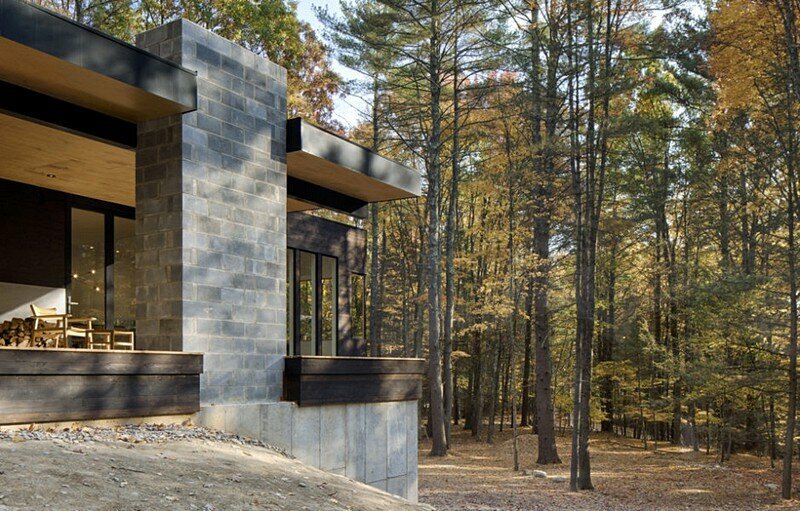 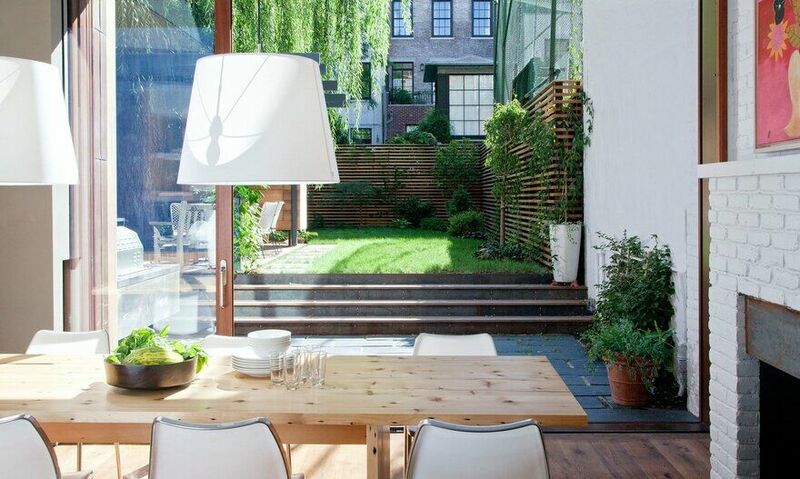 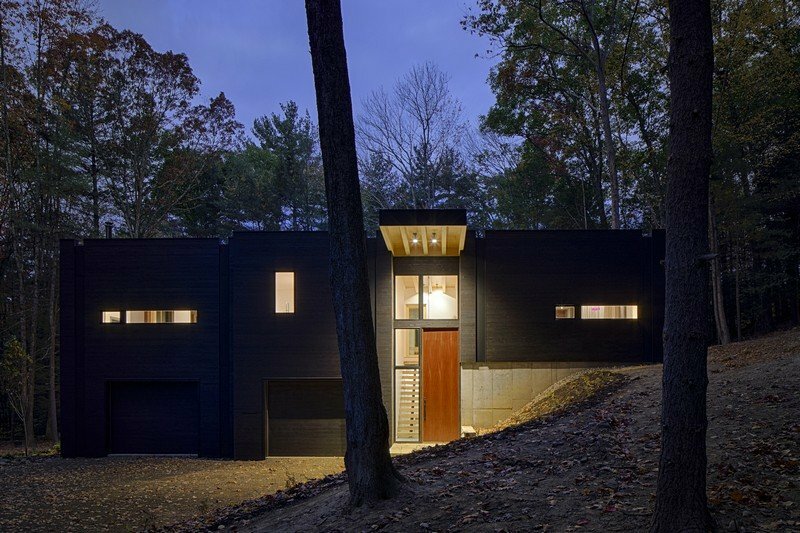 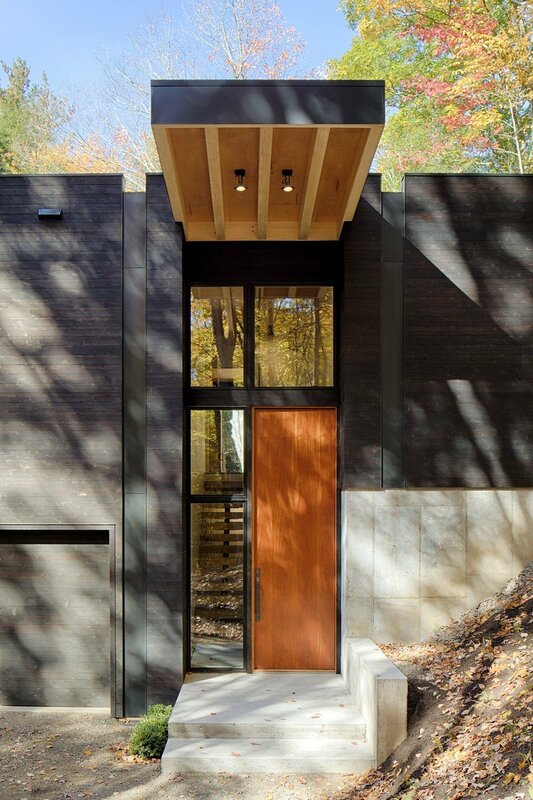 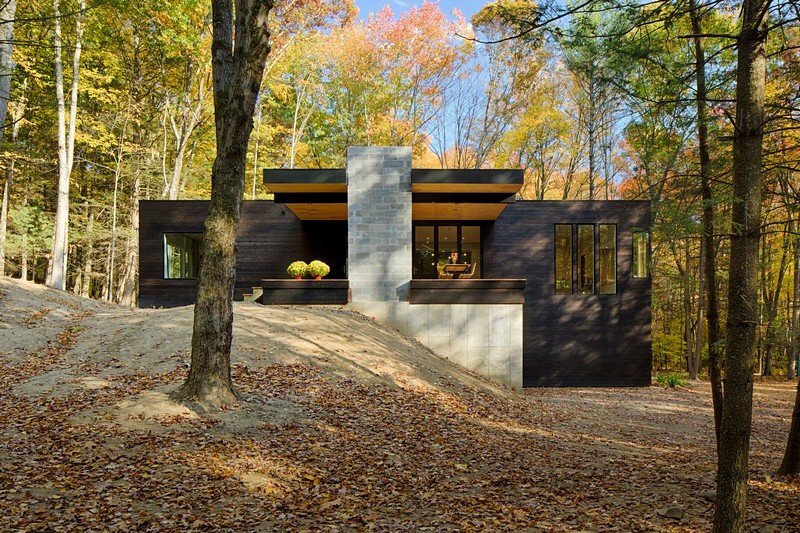 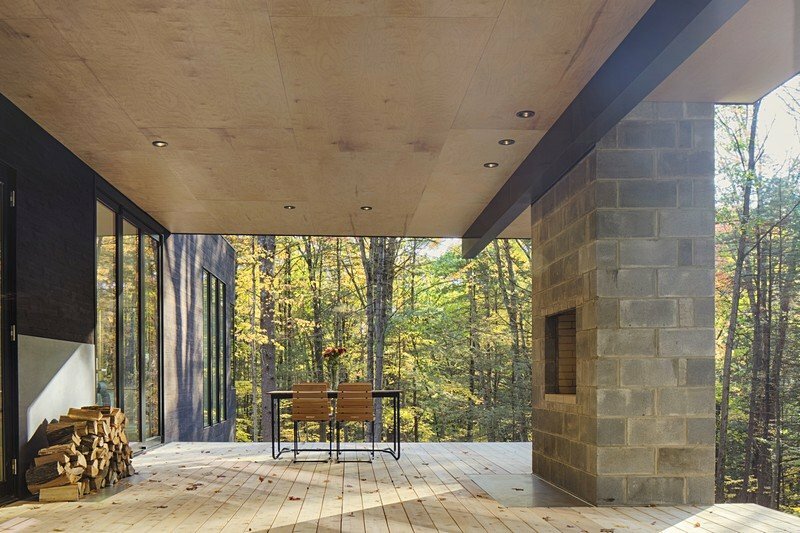 Located in Kerhonkson, NY, TinkerBox house was designed by New York-based Studio MM Architect. 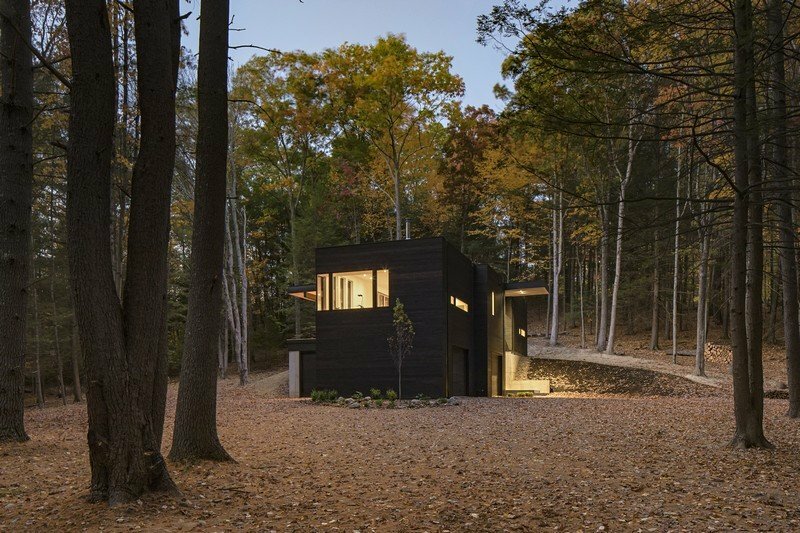 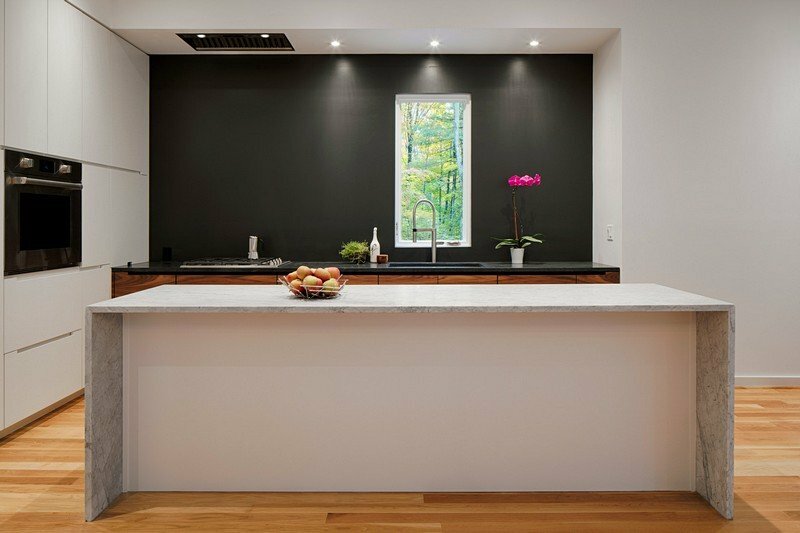 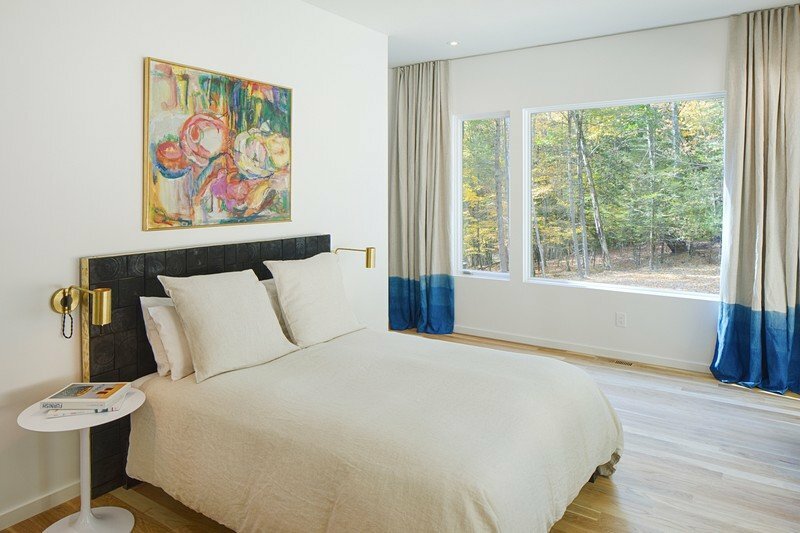 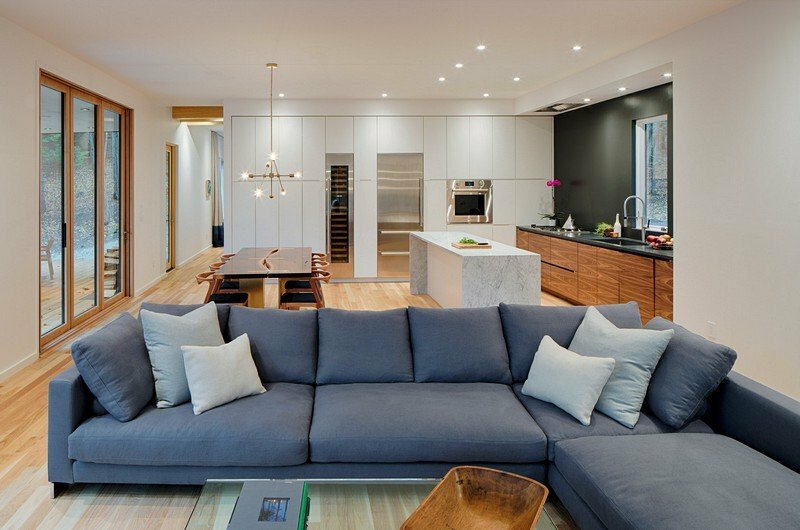 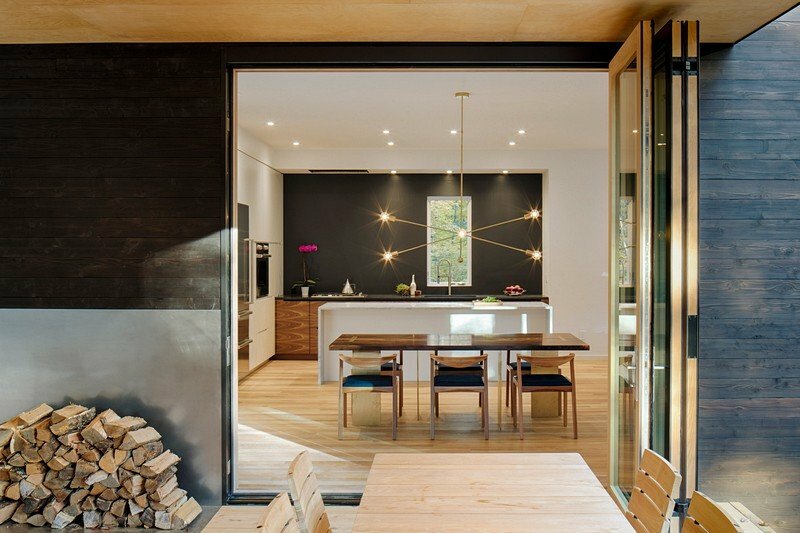 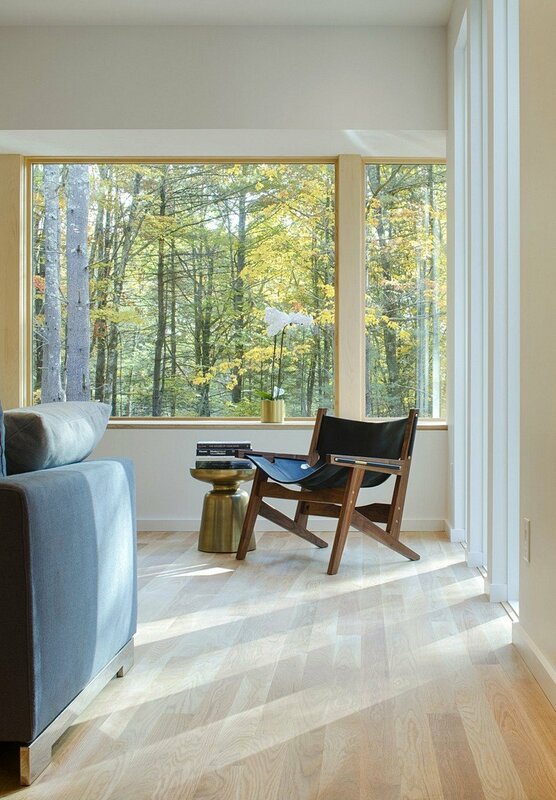 From the architect: Nestled in the woods of Hudson Valley, this house was conceived as a car-lover’s dream retreat. 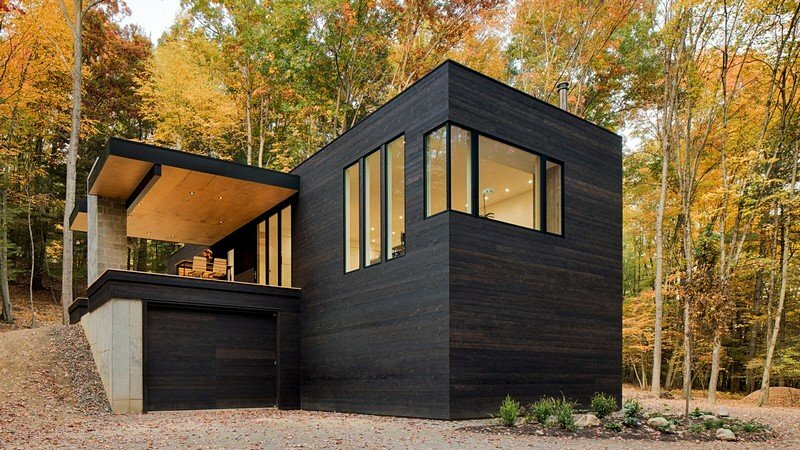 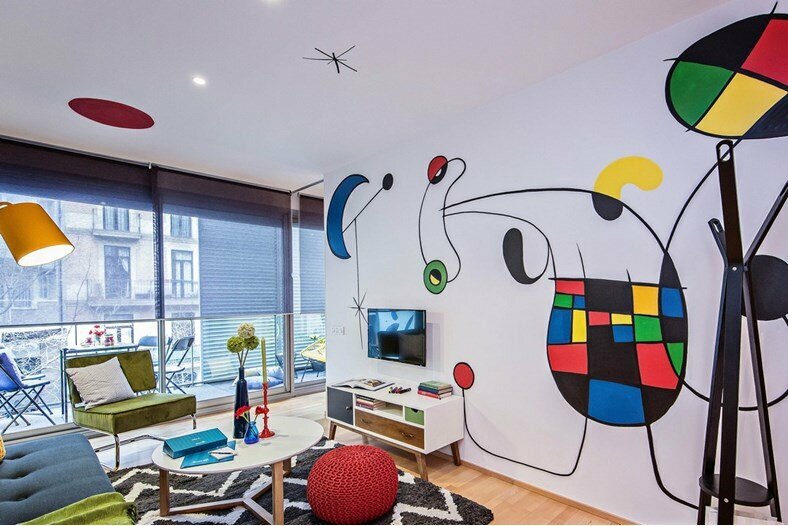 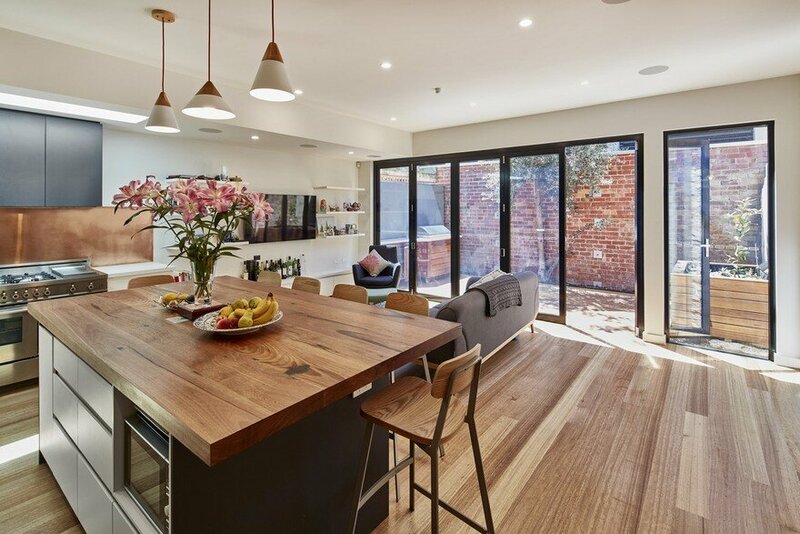 A generously sized garage is the locus of the design, generating space for car storage and maintenance as well as a spacious wine cellar and a furniture workshop. 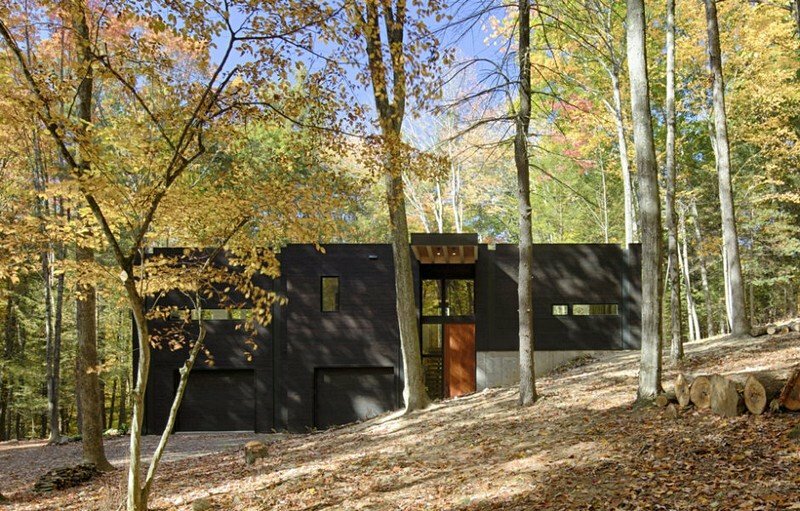 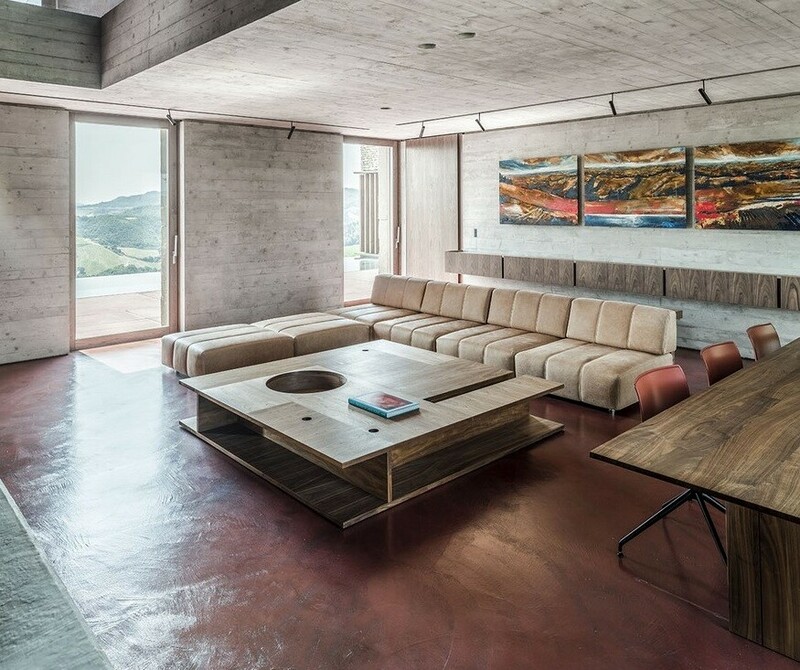 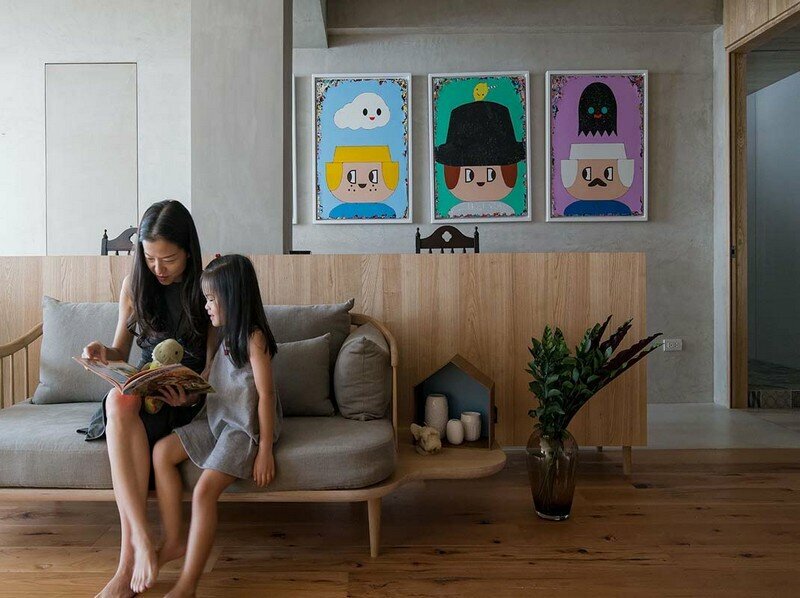 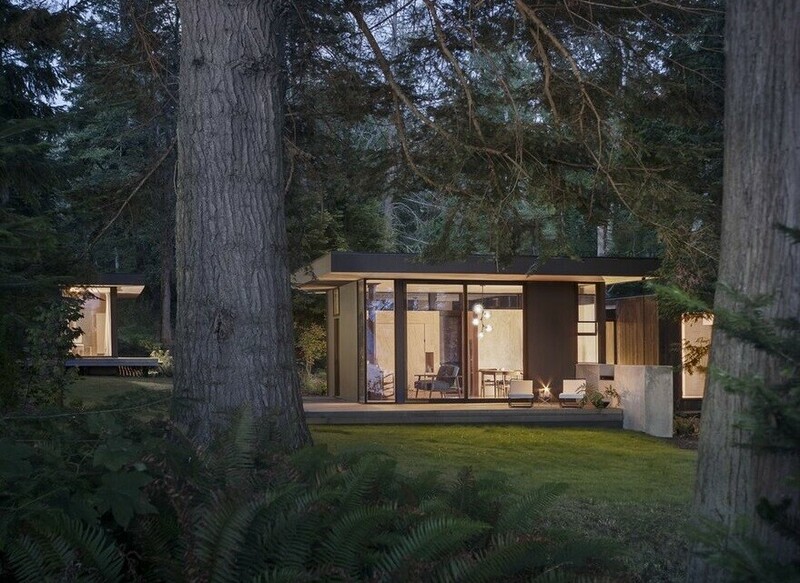 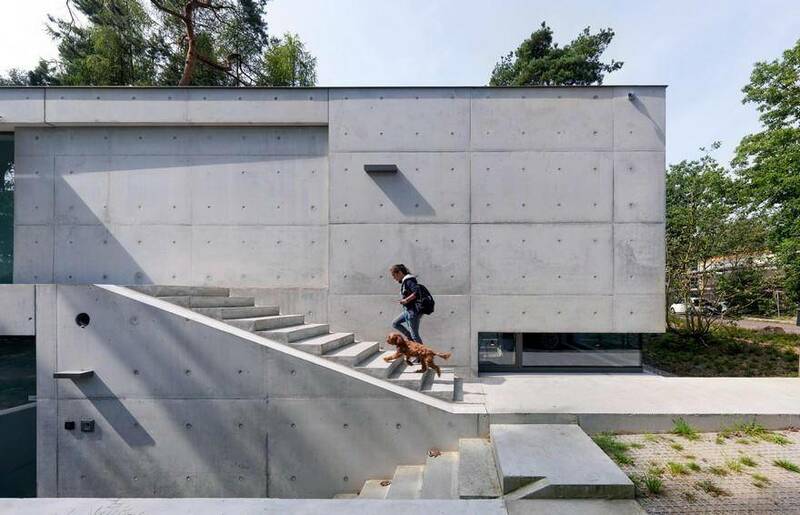 The rectangular form of the house, which is partially embedded in the hilly landscape, emerges from the lower-level garage and creates an open plan living space ideal for entertaining, relaxing by a cozy fire, and for an office studio.